Looking at a menu and wanting to try everything — as starts go, it's strong-like-ox. 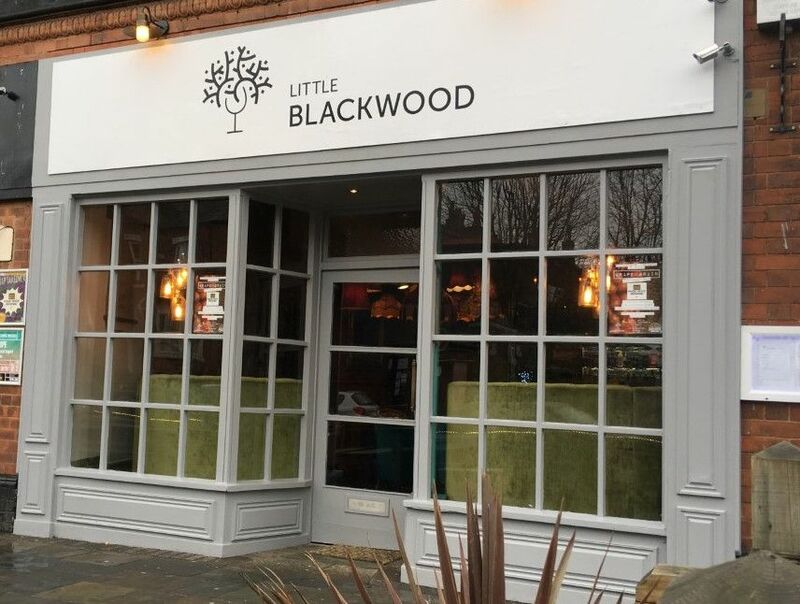 Where Cheval Blanc used to stable, Little Blackwood quietly opened up last weekend for brunching, lunching and full dinns. Interiors-wise, we got to a score of no more than three in terms of the differences between Warwickshire-born chef Ben Taylor's newbie and Cheval. But in terms of food, something genuinely different has arrived in Moseley village, informed by Ben's time at Celtic Manor's Cen. The mushroom and lemongrass broth was full of delicate flavours — sweet and salty feels with a hint of spicy, plus two perfect mushroom wontons on top and a smoked onion purée for depth. We beamed throughout the crab mac and cheese, which comes with a little crab beignet for texture, plus a tomato gel to cut through the richness. In fact, our waitress had to pause when clearing as we used our fingers to dig the very last bits out of the dish, and three days on we're still not embarrassed about that. A ballotine of chicken main did rather less in terms of flavour than the dreamy start, but the coriander puree and sake jus that sat beneath the dish was another example of the clever, confident combinations that are going to challenge the competition and get us back through the door on the regs. A seriously welcome addition to Brum's on-going food voyage.